Hackney Carriages, more commonly known as Chester black cabs can carry large amount of passengers; they are safer than minicabs in terms of the security for the passengers as well as the drivers, they are even used by celebrities and politicians. 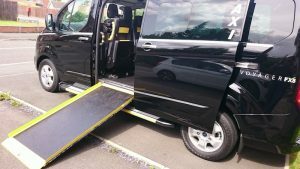 They have great accessibility for wheelchairs, mums with prams in fact there are no extra charge for up to 5 passengers, also as we are licensed by Cheshire west and Chester council. If there are more than 5 passengers we are to charge £3 extra regardless to distance unlike the private hire which they charge fare and half for more than 4 passengers. 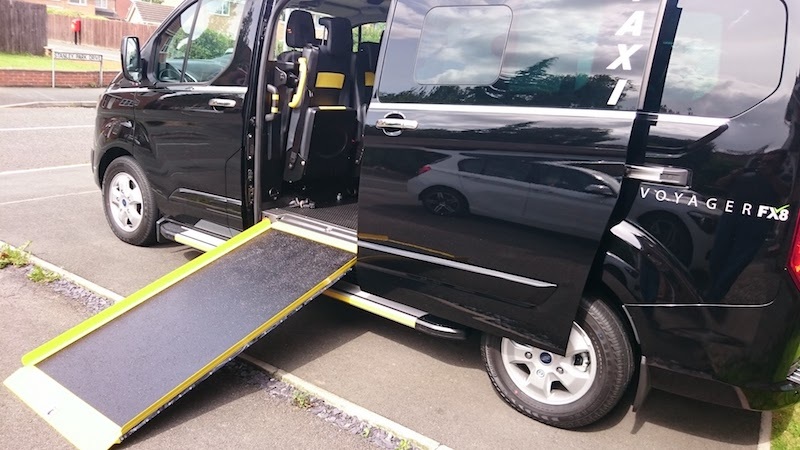 All our Chester black cabs have ramps, making loading and unloading luggage, packages and wheelchair passengers easy. Chester black cabs are great for tourist passengers as you sit higher up and get great views of Chester's many tourist attractions. UK regulations define a hackney carriage as a taxi cab which is allowed to ply the roads looking for passengers / customers to pick up, as opposed to private hire minicabs, which may pick up passengers only who have previously booked a taxi online, by phone or those who visit the taxi operator's office. Otherwise it’s an illegal pickup therefore passengers may be at risk of being in an uninsured vehicle and the driver can receive a hefty fine, points on their license as well as his insurance may be void. All black cabs, including our very own Chester black cabs are fitted with a fare meter which is programmed according to the agreed tariff by the council which cannot be tampered with. What the passenger sees on the meter is what the passenger pays. Also with current technology many of the Chester taxi drivers have chip and pin machines. Black cabs use a certain route to get the passengers to where they want to go in a safely manner and often quicker as they can drive through bus lanes which means less waiting in traffic. Chester Black cabs are one of the most used methods of transport for tourists as they rank outside Chester railway station and the main Chester bus exchange as well as the many other ranks in Chester city centre like Eastgate Clock and the Town Hall. This gives more flexibility and reliability for the local community, the passengers visiting the city and tourists in Chester.